A bit of planning can you save you a lot of money throughout the year on baseball and softball gear. Although amateur baseball will cost you a small fortune, there are a few shortcuts to the craft. The following gives you a schedule for the best time to buy different pieces of gear to outfit your player throughout the year. Sign up for the promotional material each major vendor is pushing on their social media accounts. Recommitted to building their email lists and coming off the high of the marketing-crazed holidays, the vast majority of companies do a number of giveaways, discounts or promotions during a much slower January. Although signing up for things you’ll never read seems like a waste of time, we are confident you’ll find an insider promotion once or twice throughout the year that works for what you need in a pinch. In terms of flat out discounts, vendors know that prime baseball and softball time is right around the corner and they are not terribly interested in giving away their margin. 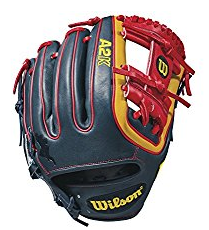 However, a few pairs of batting gloves are useful to stock up as you can always use more and they always seem to be on sale—as long as you are comfortable not buying the recently released versions. For bats and gloves, vendors sit tight in full price zone in January, happy to wait for the coming storm of February and March. As new baseball bats have been out for 6 months and cannot be sold below required MSRP, and current year fastpitch bats are still full price, February is bleak in terms of discounts and deals for this equipment. We suggest you use February as your month to get your league, tournament and facility fees paid. Mid summer tournaments almost always have an early bird price, and this is a great time to solidify dates with your teams and get some great end of season tourneys on the calendar. If you are a slow pitch player, it is the perfect time to buy last year’s model slowpitch bat. The new versions are hot off the press in February and vendors begin blowing out old inventory to ramp up for the mid summer and fall slow pitch leagues. In March we suggest you continue to pay down your league, tournament and coach fees, as any ball gear you need in March you will find at full price. Everyone can smell baseball season coming, vendors included, and they know buyers at this point can’t hold off. This does makes March the PERFECT time to sell your gear that you have grown out of from last year. Because most people wait until March to buy, the price in the secondary market for bats, cleats and gloves with some life left fetch a premium. If you are looking for a deal, try not to make the rookie mistake of buying a baseball or fastpitch bat this month. But all of us have done it. April is still a hard month to find deals and discounts. It is prime season for baseball and fastpitch and buyers in this month are usually in a pinch. However, if you have had your eye on a special limited edition bat then this may be the best month to try and get a deal. Spoiler alert: deals on limited edition stuff are rare. Also note that getting that particular limited edition bat might only be possible in April. If manufacturers and vendors do it right, they will sell out of these in April. So, if you mowed enough lawns last summer, now might be the time to splurge. May might bring another month of full price baseball and fastpitch bats, but vendors and manufacturer pricing on apparel begins to move. They look back at how well their apparel items did in the peak February and March months. Maintaining some pricing liberty on these products, May can be a great month to buy apparel gear like sliding shorts, jerseys (for next year?) and any number of training items. Look closer to the end of the month for deals on these items—especially in the closeout sections of major vendors who have closeout sections. 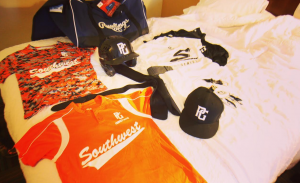 June is a fun time of year for the release of new baseball and fastpitch equipment. 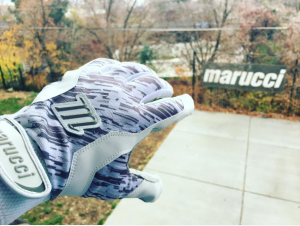 Expect to see teasers of the new line up of mitts in both fastpitch and baseball. Prices should drop on last year’s models to open enough shelf space for the coming year’s crop. As another bonus, demand is low this month as most baseball and softball players are not thinking about buying a new glove, helping create a buyer’s market. 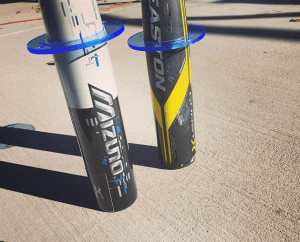 New fastpitch bat lines are also released in June, so if you have been eyeing a fastpitch bat during the season, waiting until its price drops in June is a great strategy. 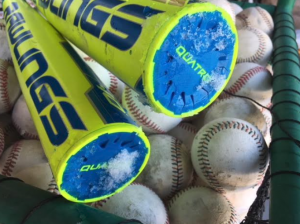 This time of year is when most fastpitch bats come off of MAP (manufacturer agreed pricing), ultimately allowing vendors to start a bidding war with other sellers. Very good new for the buyer. June’s trend continues in July with deep discounts on the current model year fastpitch bats and gloves for both baseball and fastpitch as vendors move to make some space for holiday inventory arriving in the next couple of months. Baseball bats are finally released from manufacturer agreed upon pricing, and can now be sold for less (and still have a warranty). As such, bat price wars are a fun thing to measure in the space as major vendors move their prices on marquee bats sometimes daily. 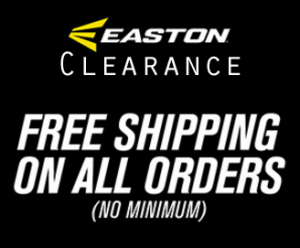 If you are looking for a very popular baseball bat, July might be your best bet to get a deal. Prices do drop lower when next year bats release in September, but inventory is often depleted by then for the very popular bats. Baseball gloves sell as well in July as any month ever. As the new crop of next year’s model gloves begin to hit, and MLB baseball is in full swing, the eyes on the flashy leather peaks. Expect to get good deals only on last year model gloves which have a replacement coming to the shelves for the holidays. The newest gloves to the market will be full price, so do all in your power to stay away from the marketing ads which, to glove collectors and leather-lovers, are budget killers. August is when slowpitch softball begins to do really well for manufacturers. If you have followed our calendar, then you already have one of those from last year’s model that you bought in January or February this year. As we enter the middle to end of fall ball for the current year in both baseball and fastpitch, expect the same legit market forces in July as you do in August. That is, downward price pressure on the current year model as vendors look to clear out last year’s inventory of bats. Glove prices begin to normalize as last years’ models become more and more scarce and vendors look to make premium margins going into the holidays. Many argue, as do we, that September is the best month to buy baseball bats. Not only do you get a good feel for what is coming for the following year (as everything releases around the 1st of September) but you also get to compare it and its price the bat model it is replacing. In the vast majority of cases the savings makes it worth buying last year’s model. But, to the point, September is just about the only month that gives you those type of options. When fall ball finishes a lot of parents and players rush to eBay to sell the bat they bought a few months earlier—hoping to capture as much back as possible. Truth is, however, they should wait until March when demand peaks again. Since they don’t, it leaves the smart buyer following this plan a real chance to get crazy deals on no limit auctions for all types of baseball and softball gear. Used bats, gloves, cleats, training equipment and more. You name it. eBay in October for the baseball and fastpitch buyer is like walking into a pawn shop on Rodeo Drive. This is where Just Bat Reviews acquires many of the bats it has. 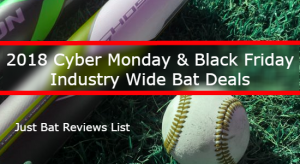 There is no particular product that tends to price out better in November than other months (although closeout deals on baseball bats from October carry over to November). But the real magic of November is on Black Friday and Cyber Monday. Our deals on these pages range from any and everything in the space simply depending on what manufacturers and vendors are willing to do to start off the holiday. We run an updated by the the hour Black Friday/Cyber Monday page that attempts to keep track of those deals. Also, custom gloves and bats make for magnificent holiday gifts. And although they lack discounts anytime of year, getting them ordered in time to get under the tree is a November activity. Despite what a lot of marketing ads try and portray, the truth is December is a seller’s month. Wallets are open, bonus checks have hit and vendors are very unlikely to provide discounts when their inventory is at perfect levels, last year’s model are sold out and there’s nothing but parents holding letters to Santa in their aisles. If you want to make for a better budget in your baseball and softball gear purchases, get everything done before December.